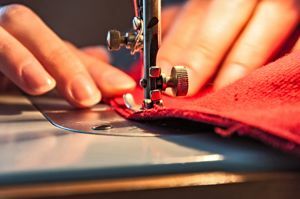 The topic of unfair working conditions in global supply chains has regularly made headlines over the past several months, with some major retailers facing accusations of sourcing materials from regions using forced labor. Government agencies and human rights organizations have encouraged companies to increase transparency, as well as publicly release details of the efforts taken to mitigate modern slavery. Complying with these requests has been difficult for many, due in large part to a lack of end-to-end visibility. And it is not just policymakers, activists and legislative bodies that are taking the social responsibility of organizations seriously. The necessity for businesses to improve transparency and compliance is further fueled by the growing interest and involvement of the public. This week, the Sydney Morning Herald reported that Australian surfwear business Rip Curl manufactured clothes for its 2015 winter line in a 'slave-like' facility in North Korea near Pyongyang. Fairfax Media, the parent company of the news source, received photos and videos, taken by people touring the facility, of the brand's clothing being made in the factory. The Sydney Morning Herald explained that one of the tourists, Nik Halik, documented the "made in China" logo being used on tags of apparel last July while the tour guide wasn't paying attention. Fairfax Media conducted an investigation on the conditions of the Taedonggang Clothing Factory and sent the images and videos to Rip Curl. Following the report, the retail company placed blame on its supplier, claiming that a subcontractor failed to notify Rip Curl that manufacturing operations had been relocated. The business's Chief Financial Officer Tony Roberts released a statement that admitted the issue was realized before this investigation, though the Sydney Morning Herald indicated it is unclear whether or not the brand took any measures to actually notify consumers that some of its garments and ski gear were produced in harsh working conditions. "We were aware of this issue, which related to our Winter 2015 Mountain-wear range, but only became aware of it after the production was complete and had been shipped to our retail customers," Roberts stated. "This was a case of a supplier diverting part of their production order to an unauthorized subcontractor, with the production done from an unauthorized factory, in an unauthorized country, without our knowledge or consent, in clear breach of our supplier terms and policies." Rip Curl also posted an apology to customers on its Facebook page claiming it "take[s] full responsibility for this screw up." It also added that it has already taken action to correct the issue, including penalizing the supplier and expanding audits. According to the Sydney Morning Herald, Oxfam Australia, an international workers' rights organization, encouraged Rip Curl to release the names and location details of its suppliers to increase transparency and facilitate progress. Dr. Helen Szoke, the group's chief executive officer, told the source that this step is necessary to prove to the public that it takes the matter seriously. In addition, Michele O'Neil, national secretary of the Textile, Clothing and Footwear Union, admitted it is unlikely that this was a single, rare occurrence but, rather, an indicator that many retail supply chains are not adequately monitoring operations. Outsourcing to cheaper regions is a common cost-reduction strategy used by many companies. However, according to a recent report published by Verisk Maplecroft, forced labor and traceability are two of the biggest risks that supply chains today face. This scandal demonstrates the importance of each company thoroughly inspecting its sourcing practices and ensuring its supplier network complies with regulations. Although the disruption may be attributed to a subcontractor, ultimately, it is up to businesses to take full accountability for any unfair or unethical occurrences linked to their brands.